A journey back to the old seafarer days - With its dignified impression this piece of furniture tells the story of cruises on the high seas during the heyday of maritime adventure. With its versatile equipment which is reminiscent of an aristocratic trunk this cupboard gives the impression that it could be packed anytime, ready for a trip around the world. 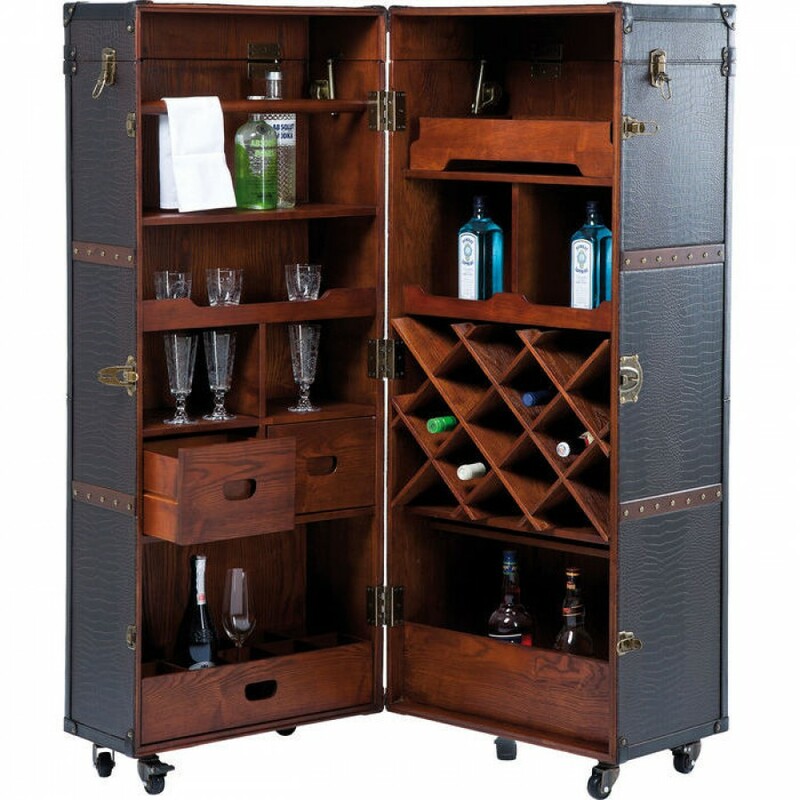 The stylish Bar Colonial wardrobe trunk is designed like an heirloom from ancient times as it develops its nostalgic beauty in wood and imitation crocodile leather. A fully equipped bar which will accommodate everything that the cocktail maker requires. When it s closed the wardrobe trunk is an elegant feature of the room, but it can at any time present its extensive contents to your surprised guests.